The Sacrament of Confirmation confers special graces of the Holy Spirit upon the person being confirmed, just as such graces were granted to the Apostles on Pentecost. Like Baptism, therefore, it can only be performed once, and Confirmation increases and deepens all of the graces granted at Baptism. It strengthens those who receive it to spread and defend the Catholic faith by word and deed. 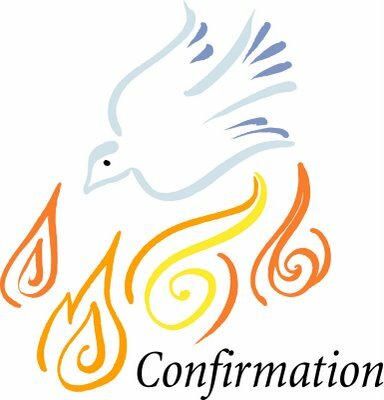 In our parish, teenagers in year 10 are invited to enroll on the Confirmation programme, which begins each autumn, and runs through to the following summer, when the sacrament is bestowed at Pentecost. There are 2-3 sessions a month, which run on Sunday afternoons and aim to teach the young people about the faith, help develop their prayer lives, and encourage them to make the faith their own as they mature. A number of visiting speakers provide engaging input, and the young people also go on a weekend retreat and undertake some supervised community work (e.g. visiting the local hospital or helping serve food to the homeless) as part of the programme. We also support the parents of our confirmation candidates, to help them in their important vocation. Listen out for announcements at the end of Mass, and consult the newsletters in the early autumn to find out when the next programme will begin. If choosing to enrol in the programme, it is very important that candidates attend all the sessions punctually, to ensure they are adequately prepared. If you are an adult seeking to receive the Sacrament of Confirmation, please see the RCIA page or speak to one of the priests.